On the day after Donald Trump sacked James Comey, his FBI director, I interviewed Francis Fukuyama, an American political scientist who has for decades been a source of wisdom (and occasionally of controversy) on the state of the world. The author, most notably, of The End of History and the Last Man (1992), Fukuyama is currently a senior fellow at Stanford University’s Freeman Spogli Institute for International Studies and director of that institute’s Center on Democracy, Development, and the Rule of Law. I had last met Frank— as he’s known to his friends and colleagues—in 2007, and he appeared not to have aged at all. Unchanged also was his impressive—and essentially Japanese—courtesy. He is a quiet American, and there are few better people to talk to if one wishes to comprehend the current global shambles. The Middle East is a violent mess, as always—only more so, and is exporting its violence to foreign parts. Russia has become a malign force in global affairs, adding interference in foreign elections to its repertoire of misdeeds. China is pushing hard—and stridently—to be an alternative to the United States as a global superpower, without any of the democratic aura that America has, and with a hard-edged hegemonic impulse that would appear to brook no opposition. Europe is rudderless and fragmented, a continent struggling with the unraveling of its union. India and Japan are peripheral: India by virtue of its lack of ambition and its self-diminishing obsession with an antagonistic neighbour (Pakistan); Japan because of a demographic crisis that exacerbates every aspect of its innate conservatism and insularity. But most disconcerting of all is the part that the United States appears to play in this mess. Under a president for whom few outside America’s Red states have genuine respect, the most powerful country in the world is in the throes of a major national redefinition. It does not help that President Trump is so mercurial: what he says one week he unsays the next. Without the United States as a strategic and moral compass, the world is in terra incognita, unsure of where it is going, and of what horrors lie around the corner. Official documents from a 1966 Air India crash on Mont Blanc could shed light on a key time in India’s modern history. On January 24, 1966, at about 7:02 in the morning, Air India 101 ‘Kanchenjanga’­– a Boeing 707 airliner– crashed on Mont Blanc near the Franco-Italian border. All 117 people on board were killed, including Homi Jehangir Bhabha, hailed as the father of the Indian nuclear program. His remains were never recovered from the Alps: Vikram Sarabhai delivered his condolences in Bombay (present-day Mumbai) on January 25, and became Bhabha’s successor as the chairman of the Indian Atomic Energy Commission. In summer 2016, over half a century later, the Bossons glacier in Chamonix, in the French Alps, elicited a series of treasures: not rubies or sapphires but documents marked “Top Secret,” originating from the Indian Ministry of External Affairs and on board the ill-fated Air India flight of 1966. What do these documents tell us? Do they warrant a trip to the Alps for the archive-hungry historian? Front page of the newspaper The Statesman, January 25, 1966. Image from the book A Masterful Spirit: Homi Bhabha, 1909-1966 by Indira Chowdhury and Ananya Dasgupta. Climate change and the resultant evanescence of the Alpine glacier have been spewing surprises to the inhabitants and mountaineers that visit this certain area in the Alps. According to Françoise Rey, a long-time inhabitant of Chamonix, both human curiosity and avarice have a role to play. “People dig around hoping for jewels from the plane,” and sometimes, “just for cadavers,” she told me during our meeting in Geneva in May 2017. AMRIT P. ACHARYA is a consultant at McKinsey & Co and a former employee at Monsanto’s Corporate Venture Capital group and ITC Ltd’s Agribusiness group. ARABINDA ACHARYA is Associate Professor in the College of International Security Affairs at the National Defense University. The Ministry of Defence is in desperately deep trouble for all sorts of reasons, including the most basic, namely, that the Government of India simply doesn’t have the financial resources to commit to large military acquisition and modernization programs. Especially at a time when the economic indices are slipping on all fronts from the GDP growth rate (down to 6.1%) to a stalled manufacturing sector. The general lethargy afflicting the economy means that, for want of funds, the Finance Minister Arun Jaitley has to nix the burgeoning demands of the Defence Minister, Arun Jaitley. One can see the dilemma Jaitley, holding clashing ministerial posts, finds himself in. He cannot create wealth out of stuttering economic progress and he can’t leave the requirements of the armed services hanging. And he can’t disappoint prime minister Narendra Modi for whom he is a harbinger of good times, and a mascot; Jaitley having crucially sided with Modi at the Goa meet when most of the BJP led by LK Advani was tilting towards Sushma Swaraj as the PM candidate heading into the 2014 elections. Sure, Jaitley never was and is not now the man to run MOD. He has not a shred of interest nor intuitive feel for, or understanding of, the military or national security issues and cannot, for the life of him, decide between hard choices he is unable to make head or tail of. 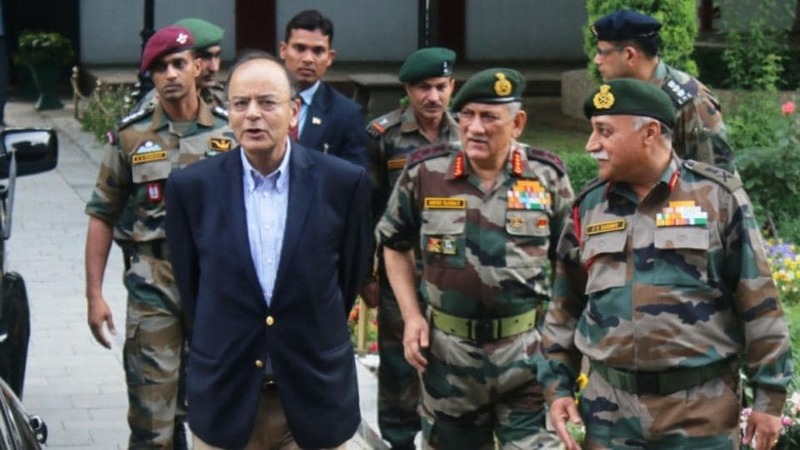 It was all very well for Finance Minister Jaitley to airily dismiss the indent for Rs 64,000 crores to raise and field the first of the mountain offensive corps (17 Corps). Quite another as Defence Minister to ignore the need for such a fighting formation in the face of a China challenge that far from abating, only intensifies. Like a cricket team that suddenly finds itself five wickets down, not many runs on the board, and relying on iffy tailend batsmen to put up a respectable score, and a time frame of two years in which to revive the BJP team’s prospects, Captain Modi sent in a night watchman he trusted to ensure that there was no rout. The Afghan Taliban paraded its forces in broad daylight without fear of retribution after overrunning the district center of Waghaz in the southeastern Afghanistan province of Ghazni last month. The Taliban detailed its exploits in Ghazni in a video, entitled “Conquest of Waghaz,” that was released today on its official propaganda website, Voice of Jihad. “Waghaz district of Ghazni province is among the regions which has been completely liberated from enemy presence with the commencement of the blessed new military campaign of Islamic Emirate dubbed ‘Operation Mansouri,” the statement accompanying the video proclaimed. 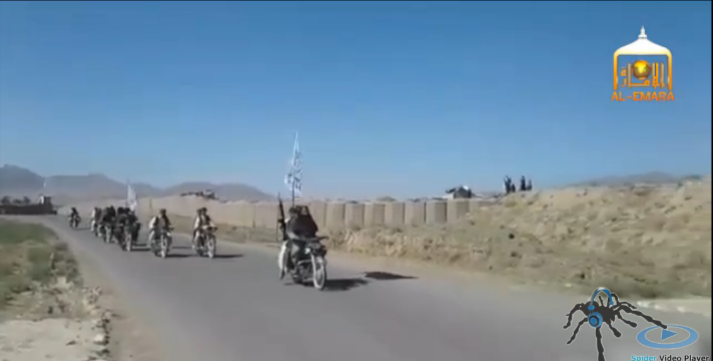 In the video, the Taliban paraded scores of fighters driving motorcycles, cars, and a US-made Humvee that was captured during the assault on the district center. The fighters operated in the open, unconcerned that they will be targeted by US or Afghan aircraft. Taliban fighters were shown raising the white banner of the jihadist group over the district center. The group also claimed to seize large quantities of weapons and ammunition during the assault. The Taliban took control of Waghaz on May 22, the same day it assaulted areas in the capital of Ghazni City. The Taliban also bombed the governor’s compound during the fighting. Nepal Joined the Belt and Road. What Does That Mean for India? The United States had little to do with the course of the Middle Eastern war that was fought fifty years ago this month. A half century later, however, it is clear that one of the major and enduring consequences of that war has had a powerful and beneficial influence on American foreign policy. During the war and immediately afterward the American government was largely a bystander. Its main contribution consisted in what it did not do. President Lyndon B. Johnson tried but failed to organize a multinational naval flotilla to ensure free passage through the Straits of Tiran, Israel’s only outlet to the Red Sea, after Egyptian leader Gamal Abdel Nasser had ordered them closed. Nor did Johnson repeat President Dwight D. Eisenhower’s demand, after the previous Arab-Israeli war in 1956, that Israel retreat from the territory it had captured. Instead, the United States supported United Nations Resolution 242, which called for the exchange of the land Israel had conquered in return for peace with its Arab neighbors, and which has served as the template for peacemaking ever since. The outcome of the war had one major consequence that has reverberated throughout the region ever since: the establishment of Israeli military supremacy in the Middle East. It affected the Arabs almost immediately. Most of them—Egyptian President Anwar Sadat being the conspicuous exception—did not relinquish the goal of eliminating Jewish sovereignty in the region, but they did change the tactics they employed. They adopted terrorism through proxies as a way of killing, harassing, and, they hoped, demoralizing Israelis. They championed, as well, the political strategy of delegitimation, seeking to question the basis of Israel’s existence in the eyes of the world. 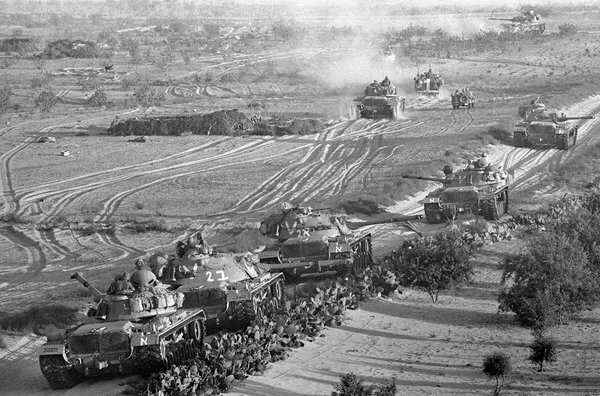 With the 1973 conflict, which Sadat waged for limited aims and which set in motion the diplomatic process that returned all of the Sinai peninsula to Egypt (by April 1982) in return for an Egyptian peace treaty with Israel (in March 1979), the era of Israel’s major wars with its Arab neighbors came to an end. For Rohingya refugees who fled persecution and escalating violence in Myanmar, even the pretense of safety overseas may now be jeopardized by a new armed insurgency few would have wished into existence. Harakah al-Yaqin, or the Arakan Rohingya Solidarity Army (ARSA) as it recently re-styled, was born of desperation. After decades of oppression by Myanmar security forces and seemingly no end to apartheid-like conditions, the group eschewed the Rohingyas’ long-standing aversion to violence and stormed three border guard posts last October. Nine police officers were killed. China will need to find a balance between providing transitory protections to nonviable firms to maintain stability and liberalising entry into sectors in which the country has a comparative advantage. The future of China’s economy has always been ambiguous, and consequently, debatable. In the last week itself, opposing prognoses have emerged: Bloomberg argues that ‘China has it’s economy’s back’, CCTV asserts that ‘the economic slowdown will avoid a steep fall’; simultaneously, the Financial Times prophesies ‘gloom spreading and a hard landing’, and Daily Reckoning describes the ‘Chinese Economic Death Spiral’. Yet, with China contributing to over 15 per cent of global output, and over 30 per cent of global Gross Domestic Product (GDP) last year, the ‘Empire of the Dragon’ stands central to worldwide growth. However, to maintain this stature, structural reform is pertinent. For the past few years, China has been at a crossroads facing trade-offs between the strict government controls imposed by the Chinese Communist Party’s philosophy, and the economic growth drivers demanded by a more open and liberal society. From 1978-2014, the government managed to keep the productivity engine, and thereby the economy ticking through various politically acceptable reforms and policy changes. It started with successful reforms in the agricultural and industrial sectors and moved towards stressing innovation and the invention of products, services, and business models in the last decade. The last two years have been hard on Argentina and Brazil. A sweeping corruption investigation and the impeachment of President Dilma Rousseff have sent Brazil's currency tumbling. The country's economy contracted by 3.8 percent in 2015 and by another 3.6 percent the following year. The Argentine peso, meanwhile, fell 40 percent against the U.S. dollar after the government lifted currency controls in late 2015. But for foreign investors, the two South American nations' economic hardship presents an opportunity. The depreciated currencies in both countries, combined with their governments' need for investment, has enabled Chinese companies to buy up cheap assets and launch major infrastructure projects in Argentina and Brazil alike. The electricity sector in particular has been a focus of their activities. In Brazil, the economic decline has hit the electricity sector hard, especially after years of government price controls. Rousseff passed a measure in 2012 forcing power companies in Brazil to lower their rates to renew their 30-year contracts with the government. Then a severe drought in 2013-15 diminished the country's water reservoirs, causing many power companies to switch from hydroelectric to thermoelectric energy. The transition was costly. State-owned energy firm Petroleo Brasileiro, for example, had to import 30 percent more natural gas from Bolivia in 2013 to fuel its thermoelectric plants. Most power companies had to sell off some of their assets to offset the added expense. Today, Brazil's electricity sector has the second-largest debt of any of its industries, behind oil and natural gas; its outstanding obligations surpassed $54 billion last year. President Michel Temer, however, is trying to change the country's regulatory framework to alleviate the power companies' troubles. Temer is working on a measure that would allow the firms to sell the electricity they generate to commercial customers, such as electricity trading companies or large industrial consumers, at a higher price for a limited time. Does China Now Have a Viable Nuclear Triad? One of the most consistent aspects of China’s military policy is likely to undergo a significant transformation. Since its first nuclear test in 1964, China has maintained a relatively small nuclear arsenal designed to hold adversaries’ population centers at risk. Even as it has modernized its conventional forces to “fight and win wars” against first-class militaries like that of the United States, China’s nuclear arsenal is estimated to contain  just 264 warheads, far smaller than the 1,550 strategic nuclear warheads Russia and America will each deploy under the New START Treaty, to say nothing of the nearly thirty thousand warheads they maintained during the Cold War. This smaller arsenal is consistent with China’s different perspective  about the nature of deterrence, as well as its no-first-use nuclear doctrine. At the same time, a couple of technical developments are likely to propel China to undertake a significant nuclear buildup in the coming years. The first of these is China’s acquisition of a viable nuclear triad for the first time. For most of its history as a nuclear power, Beijing has primarily relied on single-warhead land-based ballistic missiles to deliver its nuclear weapons. After decades of false starts, however, China has now deployed a sea-based deterrent in the form of the JIN-class (Type 094) nuclear-powered ballistic-missile submarines (SSBNs). China has already commissioned four JIN-class SSBNs and will build at least another one of these vessels. Each Jin-class SSBN has twelve missile tubes and carries JL-2 submarine-launched ballistic missiles (SLBMs) , which have a range of 7,500 kilometers. Some reports suggest the JL-2 can be equipped with Multiple Independently Targetable Reentry Vehicles (MIRVs) that allow each missile to carry between two and eight warheads. Thus, the five Jin-class SSBNs will require somewhere between sixty and 480 nuclear warheads. Even the low end of this estimate represents nearly one-quarter of China’s estimated warheads. On April 26 at the Dalian Shipyard in China’s northern province of Liaoning, the People’s Liberation Army Navy (PLAN) launched its first domestically built aircraft carrier. Adhering to Naval tradition, the hull of the new ‘Type 001A’ was transferred from the dock into the water, formalising the vessels’ ingress to the fleet. A piece by a GRI Analyst working for the British government. Most likely to be named ‘Shandong’ after the Chinese port, the carrier is expected to be operable by 2020, joining China’s first and only carrier currently in service – the Liaoning – in Beijing’s pursuit for maritime power. Like the Liaoning, the new carrier is based on theKuznetsov-class design from the Soviet era in its deck and take-off styling as well as in its propulsion abilities. The unveiling of the Type 001A was followed by numerous international news outlets declaring that this proved China is significantly ramping up its defence capabilities, acting more aggressively in the maritime arena, and expanding its overseas ambitions. BEIJING – Ruan Zongze has a very simple explanation as to why he is so bullish on trade relations between China and Europe. “China needs Europe’s state-of-the-art technology. Europe needs China’s massive market.” That, at the least, is what Zongze, considered a progressive-minded Chinese foreign policy expert, told Xinhua news agency shortly before Prime Minister Li Keqiang of China left for meetings this week in Berlin and Brussels. There has been some truth to both sides of his statement in the past, but it doesn't really apply any longer seeing as Chinese companies are buying the coveted technology from sources all over the globe and are busy extending their own know-how at home. At the same time, the Chinese market is losing its appeal to European companies since Beijing is still refusing foreign companies full access to its markets. Indeed, European Union countries severely curtailed investments in China over the past year. Download PDF file of "New Details on U.S. Strategy in Iraq and Syria"
The key portions of this budget request deserve careful attention. As is noted in an article by Joe Gould in Defense News, it seems to reflect key elements of the DoD strategy review of the wars in Iraq and Syria—which has not yet been released—and provides some important insights into U.S. planning for what will happen after a victory against ISIS in Mosul and Raqqa. The request makes it clear that the United States is not cutting back on future commitments despite what is expected to be a significant level of victories in CY2017. The President’s FY2018 budget request totals $1.1769 billion, including $1.269 billion for Iraq train and equip (T&E) activities and $0.5 billion for Syria T&E activities. ( Excludes $289.5 million requested in the FY2017/2018 Iraq Train and Equip Fund (ITEF) for support to the Kurdish Peshmerga.) This compares with $1.176 billion for Iraq T&E activities and $0.430 billion for Syria T&E activities. The document conspicuously does not propose military personnel levels for either Syria or Iraq. The OSD Comptroller did however, propose a rise in average annual troop strength to 5,765 in the FY2017 revised request versus 3,500 in the original FY2017 request in the Request for Additional FY2017 Appropriation. The actual figures for Iraq alone were 3,180 in both FY2015 and FY2016. This report highlights Russia’s ongoing hybrid warfare against the Euro-Atlantic community and how the latter should respond further. After reviewing Moscow’s worldview and the four elements of the current threat, which include the use of 1) low-level force; 2) cyber assaults; 3) economic and political coercion and subversion; and 4) information warfare, our authors recommend 26 ways for Western democracies to enhance their resilience against these forms of aggression, including the creation of a Euro-Atlantic Coordinating Council. Israel Planned An Atomic Detonation In The Egyptian Sinai If Their Political/Military Leadership Felt The Arabs Might Prevail In The 1967 Six-Day War; Might North Korea’s Kim Jong-Un Plan A Similar Atomic Operation — Should He Believe U.S./South Korean Forces Were About To Defeat His Military? Today’s (June 3, 2017) edition of the Times Of Israel, reports that Israel’s senior political and military leadership had decided to detonate an atomic weapon in the Sinai — if they believed that the Arab armies would likely prevail in the 1967, Six-Day War. “On the eve of the Six-Day War, with the country surrounded by enemies; and, unsure of its future, Israel developed a ‘Doomsday Plan,’ to detonate an atomic bomb in Egypt’s Sinai Peninsula — as a warning to the Arabs,” the New York Times reported on its website, June 3, 2017. According to the Times of Israel, this report “is based on an interview between leading Israeli nuclear scholar Avner Cohen, and retired Israeli Defense Forces (IDF) Brigadier General Itzhak Yaakov, — who reportedly oversaw the plan,” and presumably would have made the operational decision to do so. “It is the last secret of the 1967, Six-Day War,” Mr. Cohen told the New York Times. The full interview, including this most significant, new revelation, is to be published in Monday’s edition of the publication, as part of the 50th anniversary of the war that significantly altered the political, military, and strategic landscape of the Middle East. Brig. Gen. Yaakov told the New York Times, that Israel was “deeply fearful before the war.” Israel’s senior political and military leadership, took at face value, Arab threats to “throw Israel into the sea;” and, Israeli leaders apparently decided that to save their country, they would detonate an atomic bomb in the Sinai Peninsula — to prevent such an outcome. The latest terrorist assault in London is part of the current wave of attacks in Europe that regularly raises the questions on how these incidents might be prevented. Understanding why terrorist attacks succeed is essential in setting up long-term policies aimed at eradicating the Sunni extremist threat. Since January 2015, Europe has been experiencing a wave of terrorist attacks conducted by radical Islamist militants. Within the last 18 months, 19 major attacks hit Belgium, Denmark, France, Germany, Russia, Sweden and the United Kingdom. These have so far left more than 335 dead and approximately 1550 injured. Terrorists with direct or indirect ties to the Islamic State have hit media workers, Jewish and Christian personnel, transportation hubs, festivals, touristic spots, police officers and commercial districts. The tactics used in these attacks differ and range from the stabbings and crude car-rammings to shootings and bombings that imply a certain degree of complex planning. European countries have been responding to the growing and evolving threat posed by the Islamic State by implementing new anti-terror measures and stepping up cooperation in the security field. Within the last 18 months, dozens of attacks have been stopped and several functional Sunni extremist cells have been dismantled. However, Sunni extremist militants along with their supporters continue to generate an elevated threat. The Islamic State has repeatedly used its internet-based propaganda channels to call for attacks in Europe and the threat linked to the group’s ideology is likely to endure in the foreseeable future. First, in this article, what is meant by ‘hybrid defence’ is further unpacked; before, second, examining the theme of ‘strategic futures and hybrid defence’, including further probing their relations. That analysis is followed, third, by a section on ‘intelligence for hybrid defence’, which examines (a) the utility of intelligence and (b) the value it can bring, as well as (c) suggesting ways in which, extending into the future, intelligence can then be best done both in and for ‘hybrid defence’ and other closely related security enterprises that range beyond. Finally, some overall conclusions are presented. Share prices of many military and intelligence contractors have risen sharply since President Donald Trump’s election. What is certain is that for-profit military and intelligence firms will remain an integral part of U.S. national defense. My research focuses on the changing nature of the private defense industry. Military contracting is still big business, although media coverage of private military firms has diminished since the withdrawal of the U.S. from Iraq in 2011. Today, contractors’ work ranges from assisting in drone missions to analyzing signals intelligence to training police forces in fragile countries like Afghanistan. The world is heading towards a “permanent war” in cyberspace, the head of France’s digital security agency has warned. He was speaking as the world continued to reel from the global WannaCry ransomware attack, which crippled the NHS earlier this month. Targeting computers an outdated Windows operating system, it infected more than 230,000 computers in 150 countries in just a day, including Russia, India and Taiwan. It came amid allegations that Russia-backed hackers were responsible for cyber attacks affecting elections in the US and France. The department considers the threat emanating form North Korea, which includes a rapidly evolving nuclear program but more immediately, their ballistic missile threat to the region, as one of if not the greatest near term threat. 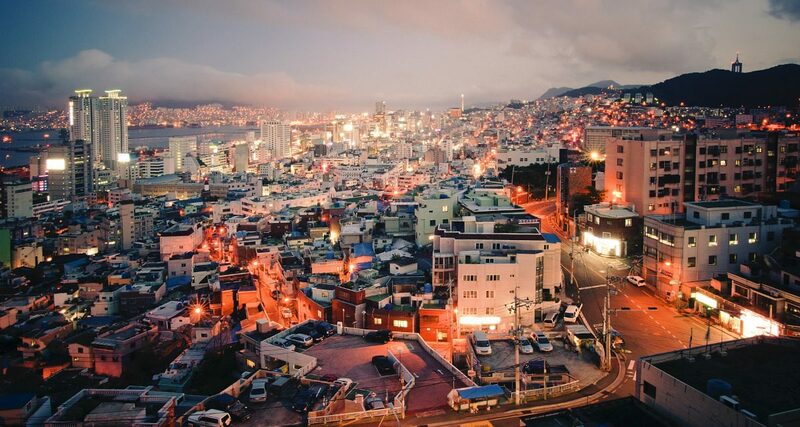 Eschewing the hermit kingdom’s nascent nuclear capabilities, their ballistic missile capabilities have the capacity to eviscerate Seoul, the capital of South Korea — a city of over 10 million people. The Trump administration, following deliberations that spilled over from the previous U.S. administration, deployed the THAAD missile defense battery to the Korean peninsula to guard against missile threats. As has been highlighted by the nature of connected systems and software reliance today, most all weapon systems are vulnerable to cyber intrusions and attacks. The CPTs assigned to THAAD have a “full time mission … to protect that THADD and things like that,” Lt. Gen. Joseph Anderson, deputy chief of staff for the Army’s G-3/5/7 said June 1 at an AFCEA hosted event in northern Virginia. Patching vulnerabilities is something everyone with a technology footprint deals with on one level or another whether they realize it or not. 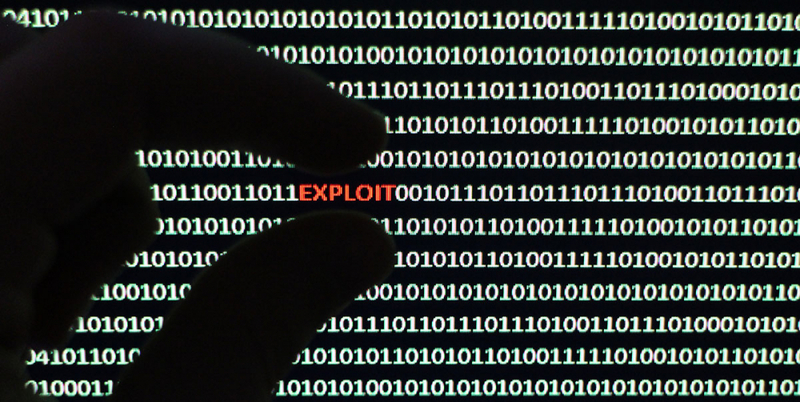 Consumers patch vulnerabilities all the time even if they don’t realize that’s what they are doing. Updating a phone to the latest version of Android or iOS, for instance, often includes fixes for some underlying vulnerabilities. Choosing to restart a smart TV or an Amazon FireTV to apply updates may also be applying patches to security vulnerabilities. In the world of operating systems and enterprise software, patching vulnerabilities is a regular occurrence. At least it should be. Microsoft regularly offers updates that fix a variety of security related and non-security related bugs in their software. Oracle, Adobe, and other software companies also provide regular patches which commonly include fixes for security problems in their software. An entire industry of products has risen up to help enterprises probe for and track patch levels in software. Applying these patches is often disruptive to businesses, however, as system reboots are often required and sometimes patches break software that relies on the affected components. In order to maintain smooth business operation, proper testing must take place before applying the patches to critical systems. This problem in enterprises often leads to delays in getting patches deployed in a timely manner - if they get deployed at all. Islamic State has quickly proven itself a formidable actor in cyberspace. Slick propaganda, promoting emigration to the so-called caliphate and repeated calls for attacks, are a hallmark of the group's cyber operations. The world watched on, horrified, as beheading videos and other inhumane methods of savagery, sometimes employing young Muslim children as executioners, became synonymous with ISIS. 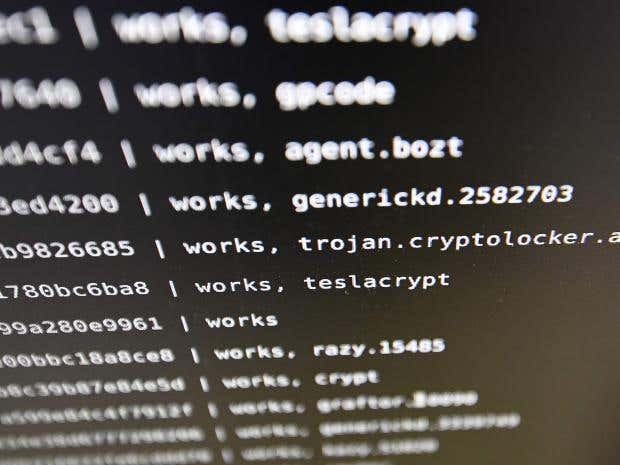 And now a new trend that may hint at a devastating development in ISIS tactics has emerged across the group's encrypted message channels and vast online networks, according to a US counter-terror analyst. 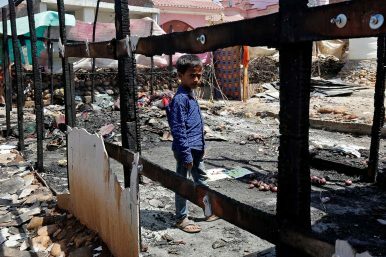 Over the past six months, ISIS has ramped up a proliferation of graphic images and videos of dead and injured Muslim children hit in military strikes against the group, Michael S. Smith, a US counter-terror analyst, told nine.com.au.